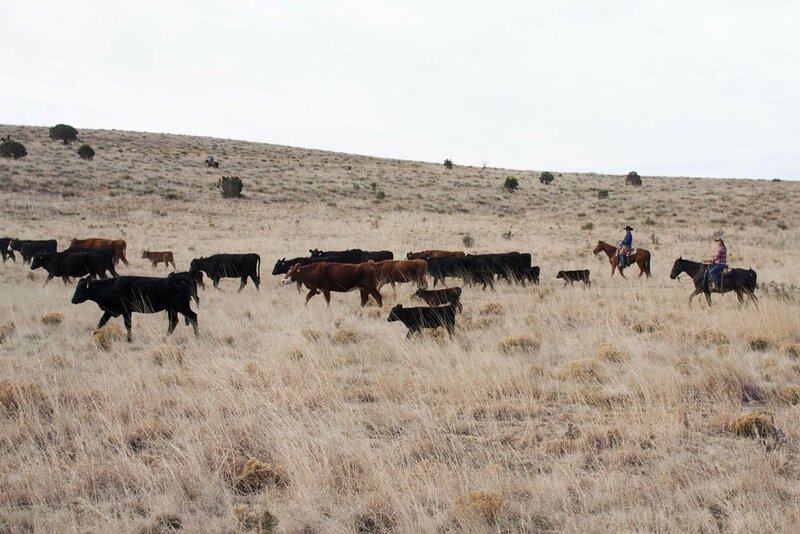 About — Triangle P Cattle Co.
Triangle P is an LLC formed by five partners in 2014, to raise cattle on leased rangelands in southern New Mexico. We have since expanded to run our cattle elsewhere in New Mexico, in Colorado, Texas, and Montana. Triangle P’s owners and managers bring diverse and complementary skills to our team. We share passions for raising livestock for profit, managing land for its long term health, and reinvesting in our communities. Collectively, we have expertise in accounting; agricultural finance; beef cattle production, feeding and marketing; dairy production; grass-fed and organic beef production; guiding and hunting; heavy equipment operation; holistic planning; horse training; natural resources conservation; rangeland science; and ranch management. We are always interested in new collaborators on the land - landowners, managers, stewards, cowpeople and motivated learners.